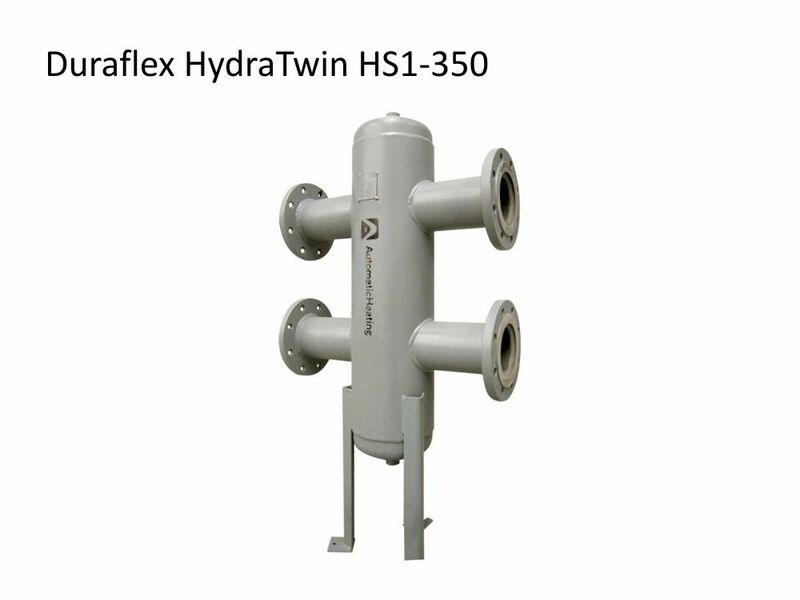 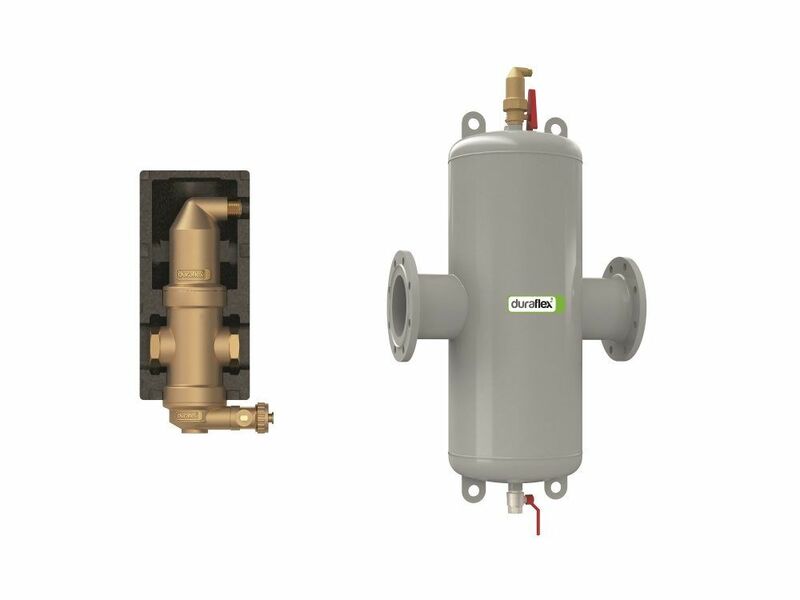 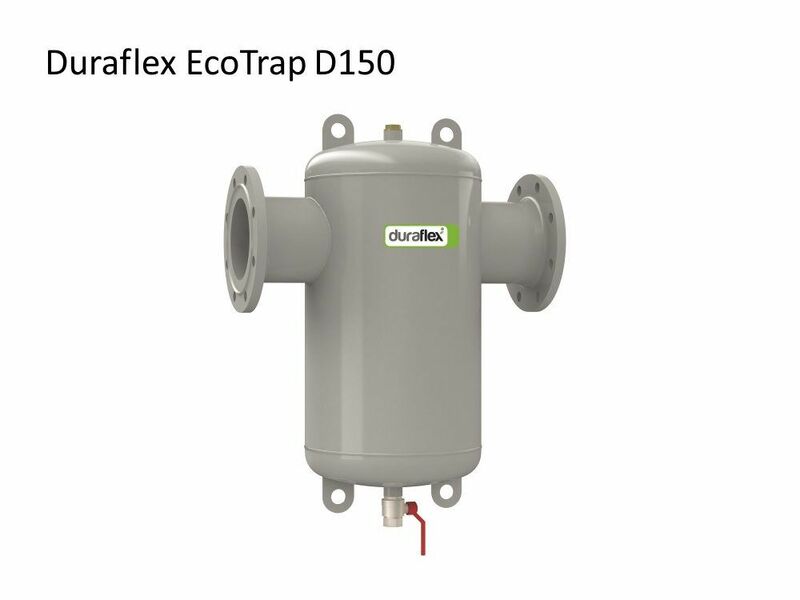 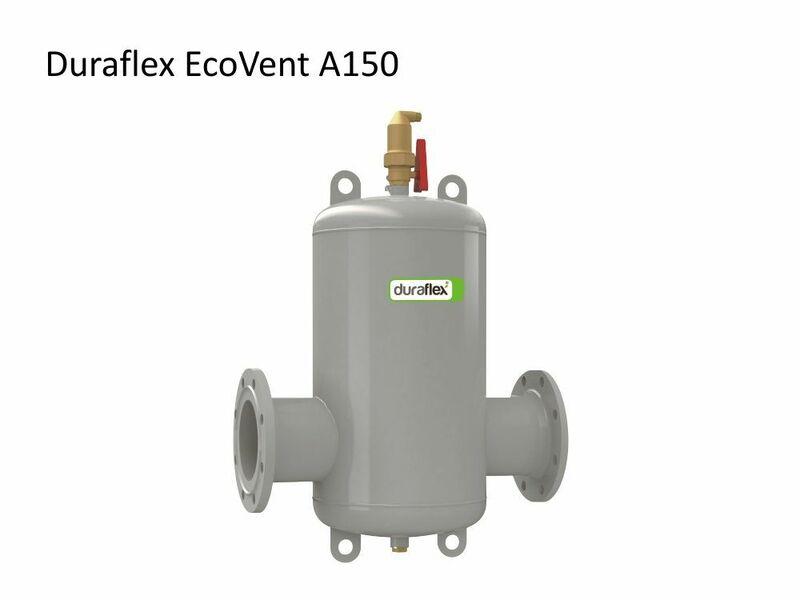 Deaerators and Dirt Separators are used to continuously eliminate the air and dirt contained in the hydraulic circuits of heating and cooling systems. 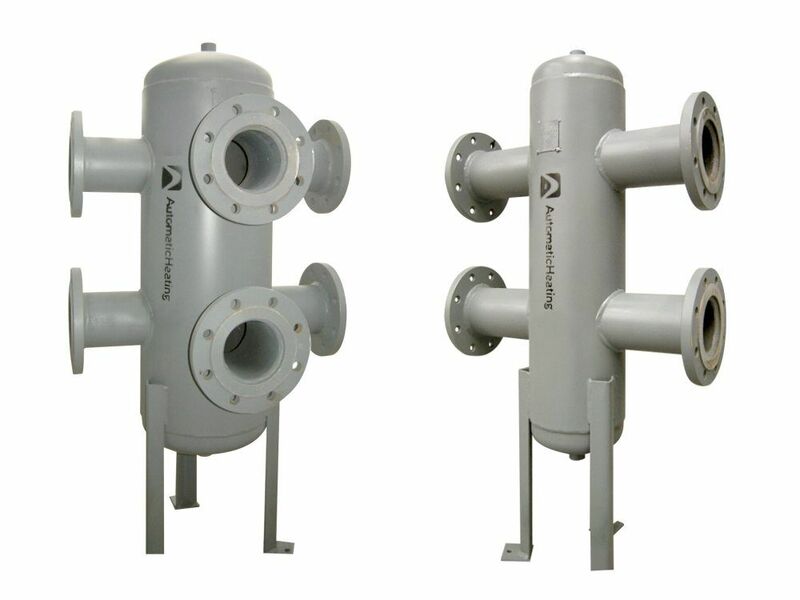 The air discharge capacity of these devices is very high. 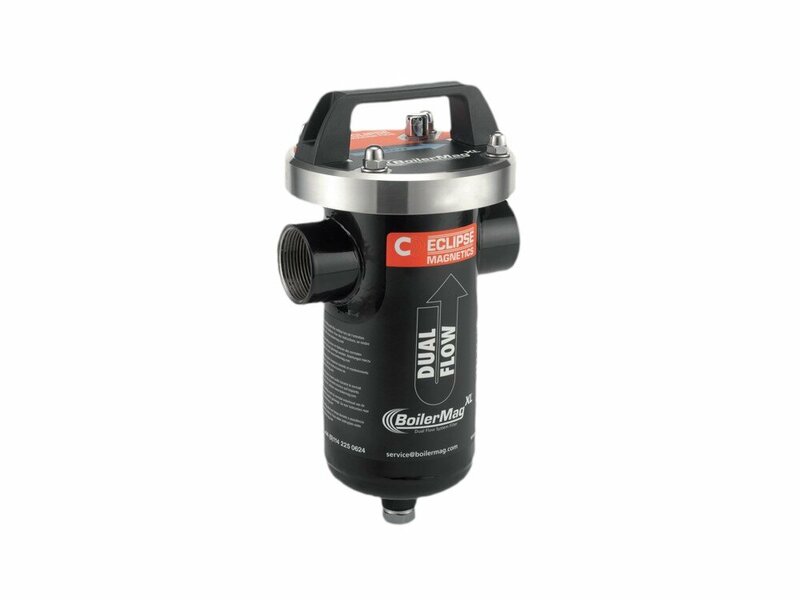 They are capable of automatically removing all the air present in the system down to micro-bubble level. 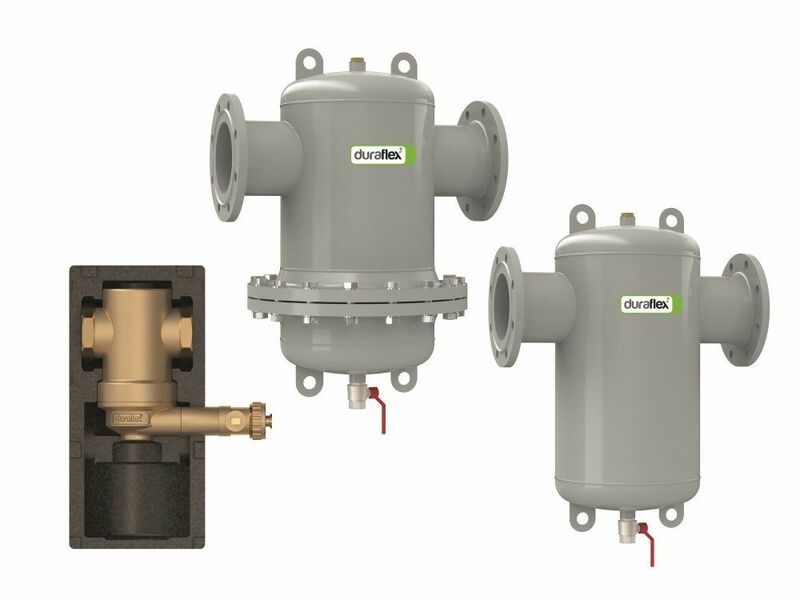 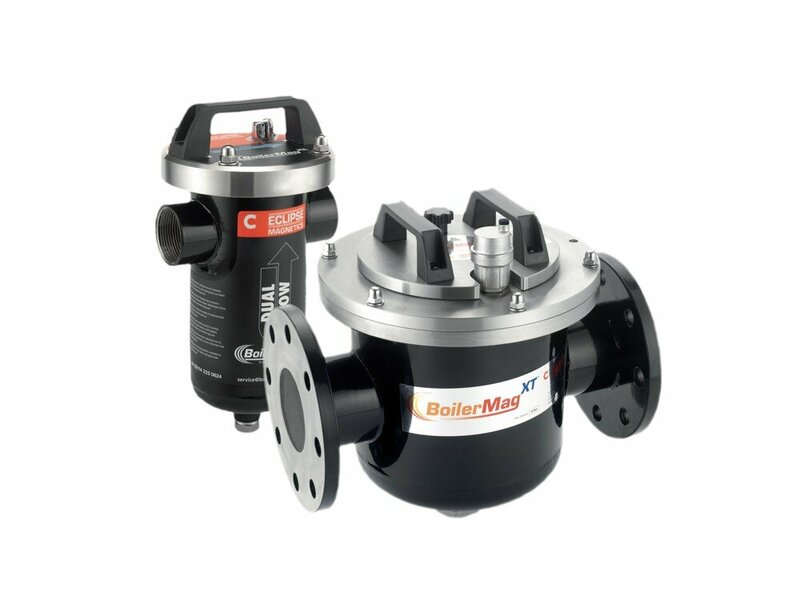 At the same time they separate dirt and impurities contained in the water in the circuit and collect it in the lower part of the valve body, from where it can be drawn off. 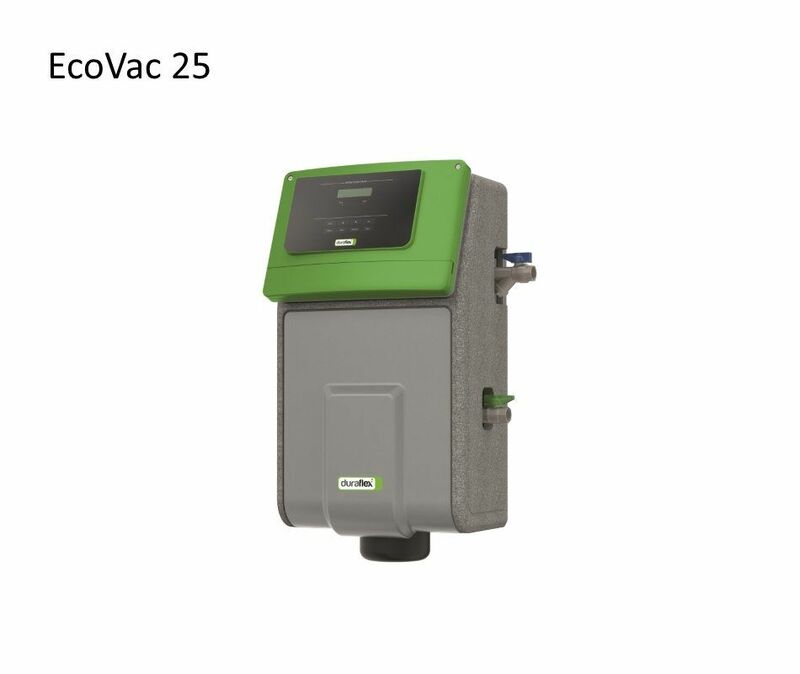 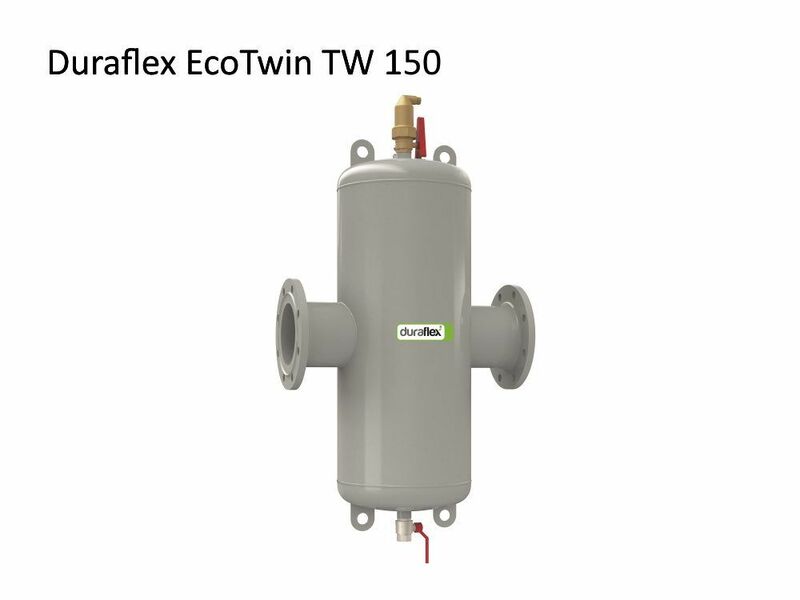 Completely deaerated water circulating through the system allows it to function under optimal conditions without encountering problems of noise, corrosion, localised overheating or mechanical damage.